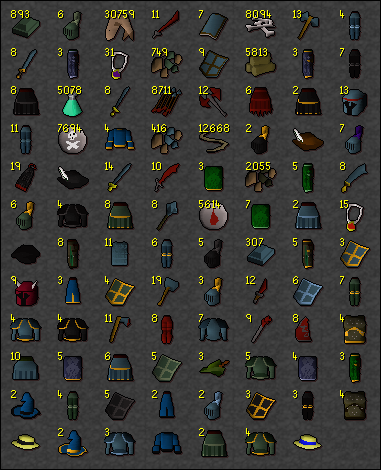 If You Played Unscape Before June 2008 Join This. Hey mate, you don't happen to have a (partially) renamed 474 client, do you? Preferably with the regular updating, RSA and Isaac Cipher enabled. A spectating type of system would mainly be server side.. just mirror output to multiple clients but ignore input from spectators. I don't see why that wouldn't work. Bleh.. t's surprisingly difficult to explain maps when I've custom renamed all the methods involved..
- Create new floor/object map ids for the new region, and add them to the arrays in this method along with the region coordinates: http://pastebin.com/ryRDFyer (First array = [X << 8 + Y], 2nd array = floor map id, 3rd = object map id). Sup, not sure if you remember me from your old server digistrscape, but i was youold13itch and x dds pk x. I was once a mod and evntually became an admin then I left for awhile due to personal reasons and lost my spot. Nonono. We need to start using universal dates everywhere, not adjust for Americans.. then eventually you will have to use them too. I've always enjoyed Dance Dance Revolution (DDR). I even purchased 2 ION PRO Metal Pads. As for sports Soccer has always been my favorite. I've played Football, but considering my size it doesn't always go so well. Something I'm working on =D.